I recently participated in a debate on the proposition that “God and His Prophets should be protected from insult.” But, I argued, this proposition is based on the premise of free speech, on the understanding that free speech is the starting point and what remains is to debate its limits. I reject this premise entirely. Free speech is a liberal position, not some neutral universal. So here’s a frank memo to the liberals: enough of the self-indulgence. You don’t represent the default position. Billions of people around the worlds are not liberals. Stop feigning universality. Drop the pretence and let’s have an honest discussion. It is of the most basic human civility to respect others. That is the starting point – not free speech. To insult others is to treat them with gross insensitivity, insolence, or contemptuous rudeness. The onus is upon those who want to allow such behaviour to prove why this depravity should be permitted. The idea of free speech is flawed in theory and politicised in practice. It is an idea impossible to implement, and has never been implemented anywhere historically – not even today, in liberal societies. For instance, when justifying the most recent film insulting the Prophet, the White House said, “we cannot and will not squelch freedom of expression in this country.” Then Secretary of State Hillary Clinton noted, “our country does have a long tradition of free expression … we do not stop individual citizens from expressing their views no matter how distasteful they may be.” These sentiments have been echoed by leaders in Europe and Australia. As for in practice, we find numerous examples of people being convicted for mere speech. In the United Kingdom, Azhar Ahmad was convicted in 2012 for “grossly offensive communications” because of a comment he made on Facebook about British soldiers killed in Afghanistan, which read, “all soldiers should die and go to hell.” District Judge Jane Goodwin, in arriving at the conviction, noted that the test was whether what was written was “beyond the pale of what’s tolerable in our society.” In Australia, a Muslim man who sent letters deemed offensive to the family of dead soldiers was convicted last year under the above-mentioned criminal code provisions. These are but two of many examples that may be cited. The principle of free speech, I argue, is wielded selectively as a political tool. When Muslim sanctities are denigrated, we’re lectured about free speech and how it can’t be qualified. Yet when Muslims and others insult, they are met with the force of law. Who decides about when and how to qualify free speech? The real question, then, is not about freedom. It is about how far power can go. It’s about power using the notion of freedom to extend and enforce its reach. Ultra-liberals may say here that they disagree with all these laws and cases and maintain absolute free speech for all – unqualified, carte blanche. But is such a position conducive to society? Would we accept white people using the “n word” against blacks? Or a person shouting “Fire!” in a crowded theatre? Or a student insulting his teacher, or a child her parent? Everyone teaches their children to respect others, not to insult. Why? Because insults beget insults, hate and rancour. Is that the type of society we want for ourselves and for our children? Some forget, perhaps, that even in the western tradition, free speech was upheld as a most basic value for specific ends: to allow the profession of ideas, inquiry into truths and the ability to hold government to account. Do any of these noble ends – all of which are upheld in Islam, I should hasten to add – require the freedom to insult? Or does insult, in fact, defeat the very purpose of these ends? Insulting another person’s beliefs does not encourage them to think. Instead, it makes them more entrenched, defensive and prepared to retaliate – that’s human nature. But, let’s be honest, the reason this debate over the freedom to insult others is still a live one is because secular liberalism has dominated both East and West, not by the strength of its values, but by the strength of its militaries. The Muslim world resisted and continues to do so. Unlike Christianity and Judaism, which crumbled under the force of secularism, Islam did not. Lands were divided and colonised, conquered and exploited. The Islamic state, the Caliphate, was dismantled, but the Islamic mind remained. It is in an effort to break this resistance that the insults come – to impose secular liberalism, to consolidate its victory forever. Is the western world really in a position to lecture others about violence? Or about values? The “free world” seeks to dominate and impose itself upon the rest by means of military, political and epistemic violence: perpetuating Orientalist fantasies about Muslims being prone to violence, backward, unable to manage themselves; propping up dictators like Hosni Mubarak and King Abdullah; destroying entire countries through war and invasion; using unmanned drones to kill indiscriminately in Yemen and Pakistan. This is the broader context of provocation in which the global Muslim reaction to insults come. It here that far more attention needs to be focussed. Everyone has lines they will not cross. All worldviews and cultures are sensitive with respect to certain things they hold dear. In Australian culture, for instance, Jesus may have become fair game, but ANZAC is not. Modernity did not do away with sanctities; it merely shifted them from the religious to the worldly. To insult is not an acceptable mode of interaction for mature, self-respecting people. It is the modus operandi of pseudo-intellectuals with nothing to offer, no intent to engage, and only interested in projecting their own insecurities onto others. Insults bring nothing to society except hate and divisiveness. Uthman Badar is a writer, activist and student of economics, Arabic and Islam. 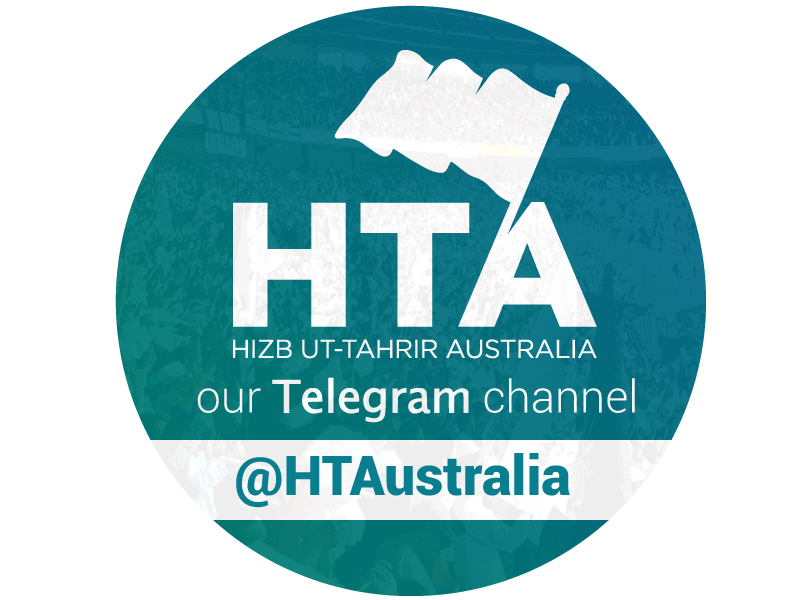 He is the spokesman of Hizb ut-Tahrir in Australia.